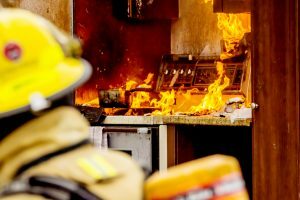 Fire Damage Cleanup: Why You Shouldn't Do It Yourself | Sincerely Yours Inc.
Fire is destructive and can cause significant damage to your property. Not all damage is visible and if not taken care of, significant and continual damage can occur. You may have the urge to clean your property and remove damaged materials on your own, however, it’s important to resist the urge to handle cleaning your property after a fire. Cleaning after a fire is a large undertaking and will require a lot of manpower to get things done quickly to limit and prevent additional damage. Do it yourself techniques rarely resolve the issues of smoke residue. Inexperienced cleaning attempts may actually cause particles to be scrubbed into surfaces instead of being removed, causing particles and debris to spread throughout other areas of the home causing additional contamination to your personal belongings. You may have the all clear to enter your property after a fire, but even the smallest or most contained fire can cause considerable smoke and soot damage. As fire burns, hot air and particles rise and will settle on your ceilings, which can be difficult to clean. If a large fire occurred, there may be areas of your property that could be exposed and will need to be repaired or replaced. Soot is the result of incomplete burned materials and can penetrate into porous surfaces. These particles can spread throughout the property traveling through the ventilation system, settling on furniture, clothing, and drywall. Soot can wear away at materials causing rot and discoloration. Soot if inhaled can cause respiratory issues which can cause serious health problems. Don’t use your AC, Heater or other electronics to circulate air as this can smoke and soot to spread. Electronics such as computers, televisions and gaming consoles should be inspected and thoroughly cleaned before use to rid them of these dangerous particles. Carpeting and furniture should be vacuumed and professionally cleaned to remove harmful contaminants and soot. Using your discouraged for you to use your household vacuum to clean these surfaces is strongly discouraged, as the soot can be sticky and gum up your machine, as well as, release soot particles into the air. Additionally, do not use your home washing machine and dryer because the soot particles and fire contaminants can gum up the machine and linger, causing it the spread to other items during future wash cycles. Professional cleaning machines and solutions will be the best course of action to fully rid your items of smoke and soot damage. It is recommended to hire a restoration company, certified in fire damage remediation to oversee and complete the cleanup and restoration process after a property fire. The trained technicians will be able to access the damage to your property and devise a plan to clean up the damage. If contacted quickly furniture, clothing, electronics and documentation may be salvaged, repaired and cleaned. A professional fire restoration company will have the correct gear such as masks, suits, and gloves to safely remove contaminated items. Commercial cleaning machines and solutions will be needed to fully clean and eradicate smoke and soot residue from flooring, walls, furniture, and clothing. If necessary, drywall, framing, flooring, and cabinetry may need to be replaced. In the event of firefighting efforts, professional hoses will be required to remove standing water from the property and air purifiers will be required to reduce the moisture in the home and filter out harmful contaminants from the fire. Your world has already been hit by a disaster. Don’t place the burden on you to repair and rebuild without help. Contact Sincerely Yours today. With a 24-hour emergency response, we’ll be there to help you in your time of need. We’ll safely and efficiently return your home to normal, assuring you of a job done right.